It’s June – the rainy season in Japan. 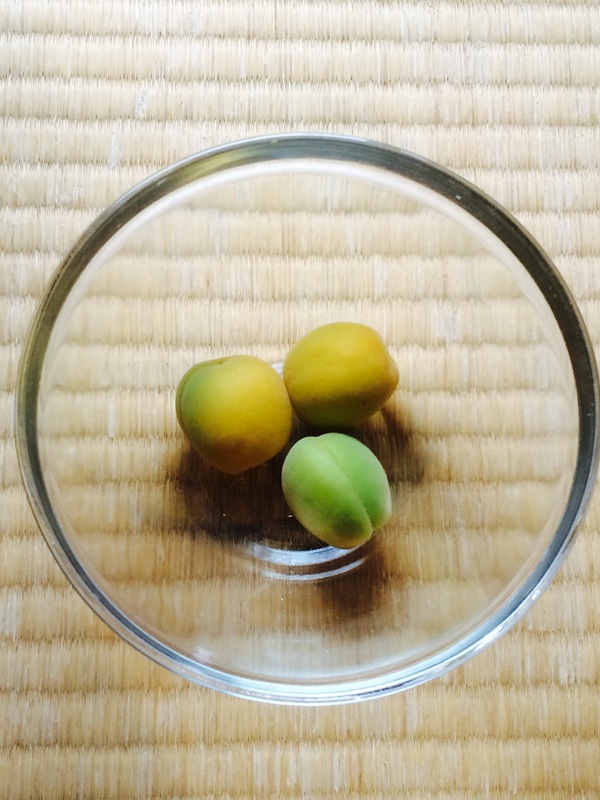 ‘Umeshigoto‘ (processing ‘ume‘ plums at home) is one of the pleasures of this season. 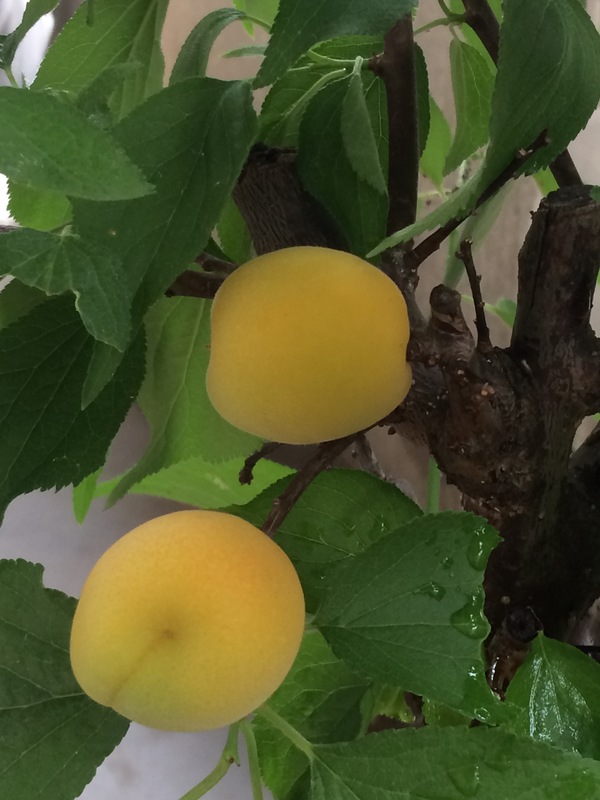 My husband gave me a little ‘ume‘ tree on my birthday this year, which size is almost that of ‘bonsai‘. It bore 3 fruits on the balcony! So I made a mini bottle of umeshu, popular Japanese liqueur. Picked the fruits. Just three…but so adorable! Soak them in water for a while. Looks cool and refreshing. 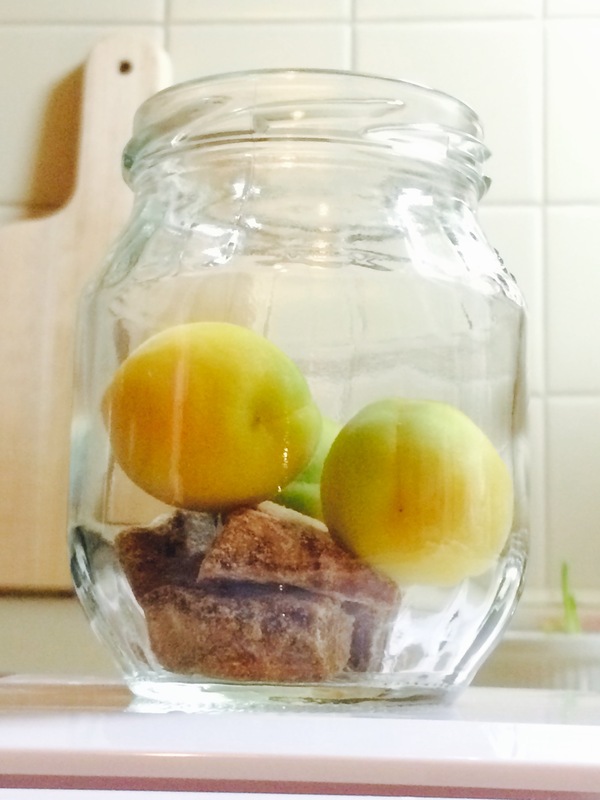 Put them in a reused jam jar with brown sugar (crystal sugar is more generally used, but I prefer brown sugar). Pour spirits and capped a bottle. … and store it in a cool dark place at least for 3 months until the flavor and aroma of ume fruits will be fully extracted.